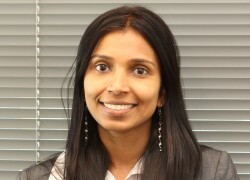 Dr. Darsana Josyula is an Associate Professor in the Department of Computer Science at Bowie State University. She earned a Ph.D. in Computer Science from the University of Maryland, College Park, USA in 2005. Her research interests are in the field of artificial intelligence including knowledge acquisition, pattern recognition, observational learning, resource-bounded reasoning, anomaly processing, natural language understanding, metacognition and concept learning in self-adjusting autonomous systems. She has given keynote lectures nationally and internationally, and has more than 40 peer-reviewed publications. Dr. Josyula is the Director of the Autonomous Technologies Lab at Bowie State University - BSUL@b - and is affiliated with the Active Logic, Metacognitive Computation, and Mind Group at UMIACS, UMD and Cognitive Informatics & Cognitive Computing Lab at Universidad de Córdoba. She is also a member of IEEE and American Association of Artificial Intelligence (AAAI). Dr. Josyula serves as the Program Coordinator for D.Sc. in Computer Science at BSU and as an elected representative of the College of Arts and Sciences at the Faculty Senate. She is a founding member of the Climate Commitment Coordinating Committee (C4) and is involved in sustainability awareness initiatives on and off-campus. She also serves on the Faculty evaluations committee, Academic Policies and Standards committee and the Graduate Council. Prior to joining BSU, she was a Faculty Research Associate at UMIACS, UMD, College Park.